LONDON (AFP) – People who get less than six hours sleep per night have an increased risk of dying prematurely, researchers said on Wednesday. Those who slumbered for less than that amount of time were 12 percentmore likely to die early, though researchers also found a link betweensleeping more than nine hours and premature death. "If you sleep little, you can develop diabetes, obesity, hypertension and high cholesterol," Francesco Cappuccio, who led research on the subject at Britain's University of Warwick, told AFP. The study, conducted with the Federico II University in Naples, Italy,aggregated decade-long studies from around the world involving morethan 1.3 million people and found "unequivocal evidence of the directlink" between lack of sleep and premature death. "We think that the relation between little sleep and illness is due toa series of hormonal and metabolical mechanisms," Cappuccio said. Cappuccio believes the duration of sleep is a public health issue and should be considered as a behavioural risk factor by doctors. "Society pushes us to sleep less and less," Cappuccio said, adding thatabout 20 percent of the population in the United States and Britainsleeps less than five hours. Sleeping less than six hours is "more common amongst full-time workers,suggesting that it may be due to societal pressures for longer workinghours and more shift work"
The study also found a link between sleeping more than nine hours pernight and premature death, but Cappuccio said oversleeping is morelikely to be an effect of illness, rather than a cause. "Doctors never ask how much one sleeps, but that could be an indicatorthat something is wrong," said Cappuccio, who heads the Sleep, Healthand Society Programme at the University of Warwick. 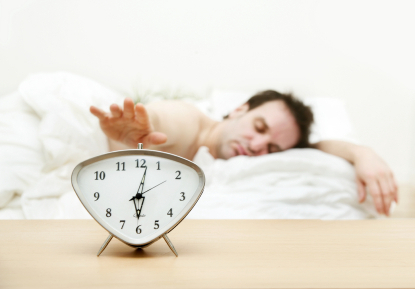 Research showed no adverse effects for those sleeping between six and eight hours per day.